Since I was a kid I’ve been a fan of Studio Ghibli films, especially those written and directed by Hayao Miyazaki, so right off the bat I knew I wanted to create something related to that for my first project in this course. 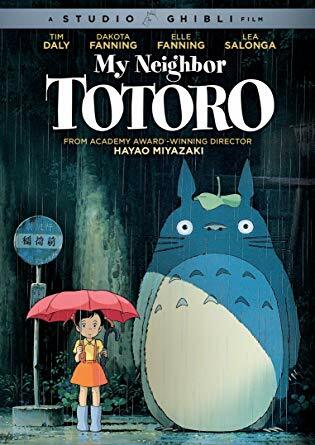 So I decided what better way to reflect that than to incorporate one of his most notable (and cutest) characters, Totoro, from “My Neighbor Totoro”? In the demo version I made in our lab section, I simply added a simple silhouette image of Totoro along with my name (pictured below). However, for my final version, I wanted to make Totoro the most prominent feature of the name-tag as well as incorporate my name into the design more cleverly. 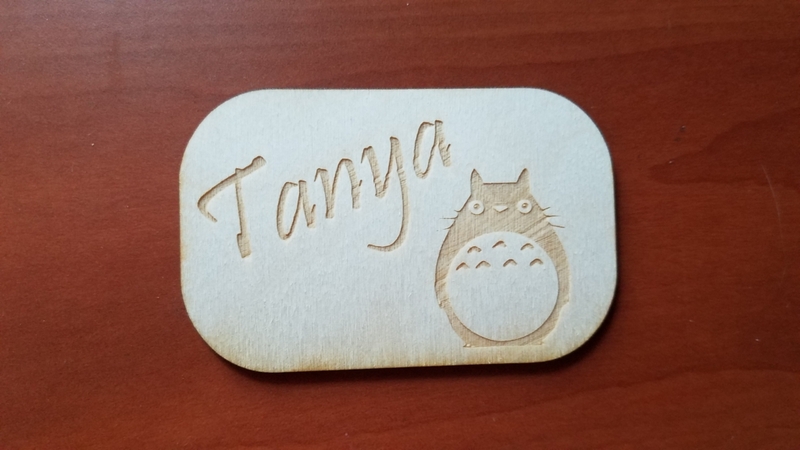 Originally, my idea was to vectorize along the outline of Totoro so that the name-tag was shaped like him, then put my name somewhere on the body (i.e. the tummy area). However, I had some difficulties figuring out how to only color the outline of the image in red for cutting, and decided in order to save time, I would just make a simple shape and place the image inside. 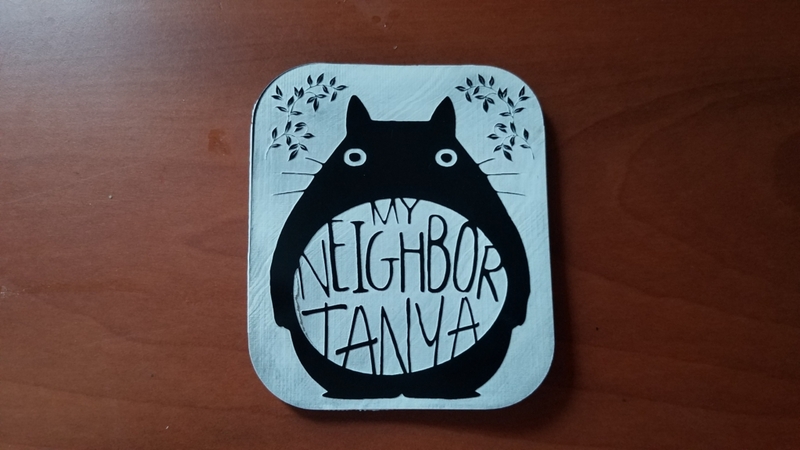 In order to incorporate my name in a clever way, I took advantage of Inkscape’s feature of manipulating edge nodes in the traced bitmap of the image by removing the “Totoro” in “My Neighbor Totoro” and replacing it with my name in a similar font style, so it instead spelled out “My Neighbor Tanya” (see below). I used the black-to-white acrylic material and lasered away everything except for Totoro and leaves so that the background was white and left the images in black. Then I glued it to a wooden base I vectorized so the name-tag was a bit thicker and more robust. I’m pretty happy with how it turned out, especially the way my name fit into the title. If I had more time I would’ve spent it figuring out how to shape it like Totoro, but overall I still had lots of fun creating it.